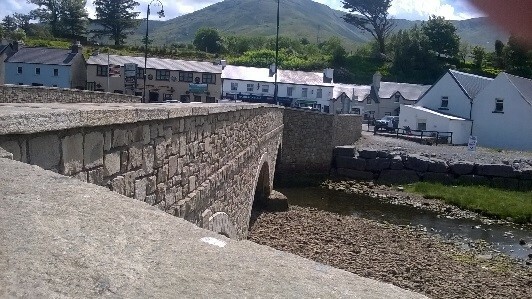 Leenaun Bridge carries the Clifden to Westport N59 road over the Lahill River at the end of the coastal Fjord. 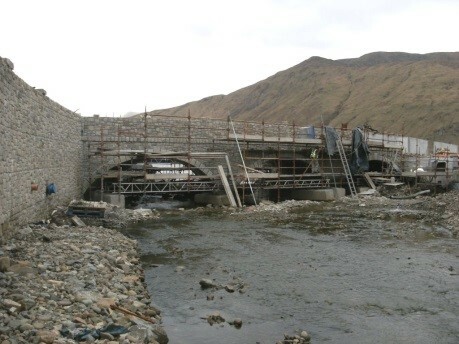 The project consisted of the reconstruction of Leenaun Bridge which was washed away along with 20m of the N59 carriageway in July 2007 with a multi-span arch. Work within inter tidal zone and foreshore protection measures & in stream protection measures. The main structure of the bridge consisted of 3 No. 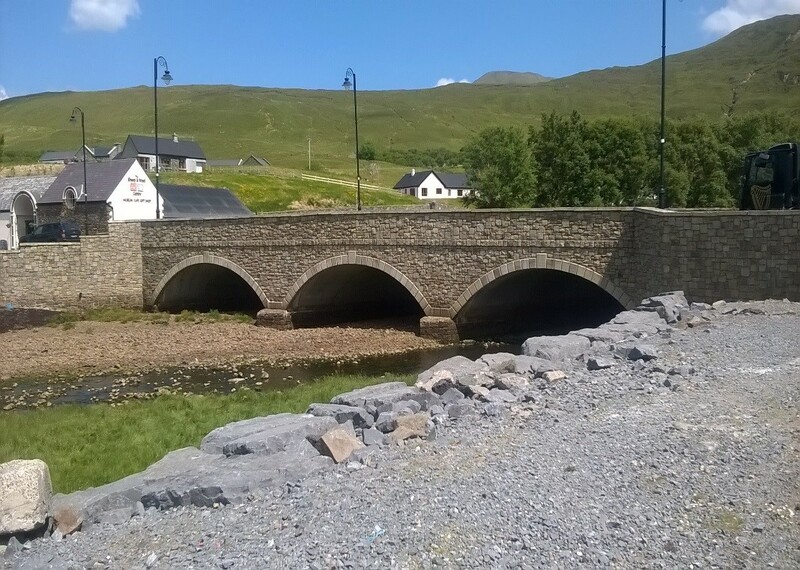 precast reinforced concrete arches along the skew; they were made integral with the concrete supports and faced in natural stone masonry to match the surrounding environment. The overall length of the bridge is approximately 23m between the faces of the abutments. Each arch is 6.48m long between faces of supports. Skew angle is approximately 24o between the abutments and the parapet. The substructure is supported on piled foundations and the concrete consists of in-situ reinforced concrete pier and abutments. These were made monolithic with the superstructure.